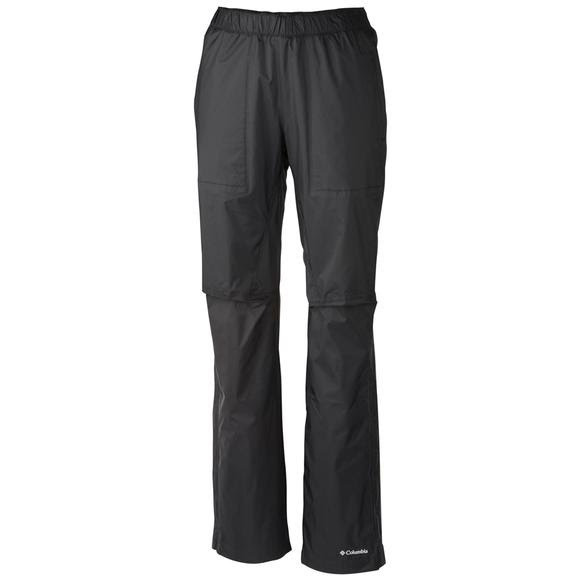 Stay dry and protected during aerobic activities in wet conditions with help from Columbia's Zonation Shell Pant. They have integrated our most advanced wicking technology into the back yoke and knee to whisk body moisture away from the skin for maximum comfort during hard efforts. Stay dry and protected during aerobic activities in wet conditions with help from Columbia&apos;s Zonation Shell Pant. They have integrated our most advanced wicking technology into the back yoke and knee to whisk body moisture away from the skin for maximum comfort during hard efforts. This moisture management technology disperses sweat quickly across a broad surface area for accelerated evaporation, so you feel dry and comfortable faster than ever before.